VinFast aims to grow with Vietnam’s car market. 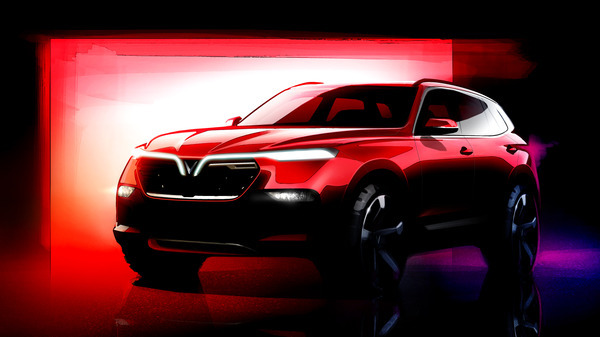 Vietnam’s emerging automaker will launch two new models, including a sedan. If you consider Vietnam, automotive manufacturing is not one of its strong suits. But with more than 93 million people, this southeast Asia nation is following a well-established passage taken by other emerging countries as consumers trade up from scooters and motorcycles to automobiles. So far, the Vietnamese market has been served mostly by Chinese manufacturers, along with Toyota, Hyundai, Ford and GM. But the country’s leaders see an opportunity for a native manufacturer to take root and earn its own slice of the consumer pie. That company is VinFast, the automotive arm of the Vingroup, which is a leader in Vietnam’s construction and real estate sectors. Indeed, VinFast has already inked an agreement with one automaker, the General Motors Company, to launch its nascent enterprise. 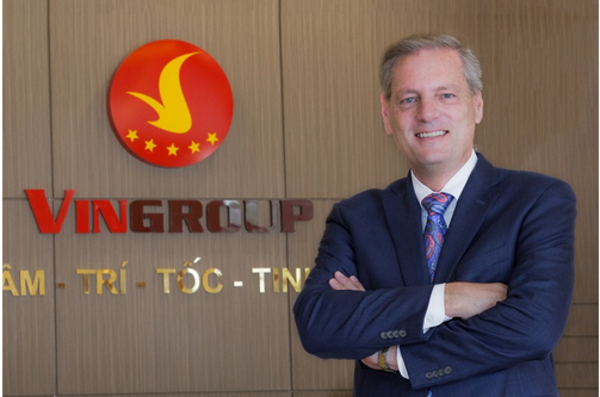 In June, the two companies signed a strategic partnership whereby GM will transfer its Hanoi plant, dealer network and employee base to VinFast by the end of 2018. As part of the transfer agreement, VinFast will produce small cars under a GM global license beginning in 2019. Further, VinFast will become the exclusive distributor of Chevrolet models throughout the country. In effect, GM is entrusting VinFast to further its own growth. Pininfarina designed the company’s SUV and sedan. But a strategic partnership with GM isn’t the only thing VinFast is doing to make a name for itself. For example, the automaker is working with the Pininfarina design and engineering company to develop its first two vehicles — a sedan and an SUV. 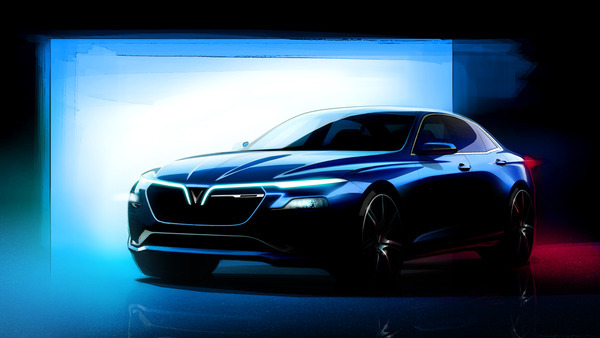 Just this week, VinFast released sketches of the new models and announced plans to unveil prototypes at the 2018 Paris Motor Show in October. The two models will not be manufactured at the Hanoi plant. Instead, the company is building a new plant in northern Vietnam to accommodate the new models and others that will follow. When the assembly plant is operational it will produce the two new models, with sales set to commence in September 2019. The company plans to saturate the domestic market before launching abroad a few years later. With a top capacity of 500,000 units, the new plant launches as consumer demand for passenger vehicles surges. Besides working with GM and Pininfarina, the company hired outside executives to build the enterprise. James DeLuca is the company’s Chief Executive Officer, who had a long history working at GM. He began his senior management career in 2002 as the plant manager for GM’s Fort Wayne Assembly plant in Indiana. From there, he headed the stamping operation in Pontiac, Michigan. Beginning in 2008, DeLuca traveled to South Korea to head Product Quality for GM Daewoo. Following stints in China and Michigan, DeLuca retired from GM in 2016, ending his 37-year tenure with the company. But his retirement didn’t last long as VinFast appointed him CEO in September 2017. DeLuca is one of four members of the company’s executive team. Le Thi Thu Thuy is the Chairwoman of VinFast and also serves as Vice Chairwoman of Vingroup. Le Thanh Hai is the CEO of VinFast Trading and Service, while David Lyon is the Executive Design Director. Both Hai and Lyon previously held senior positions with GM. VinFast’s $US1.5 billion investment in a new manufacturing plant, its collaboration with GM and the Pininfarina design relationship collectively underscore its purpose. By debuting its new models on a world stage, its mission as an automotive manufacturer should become clear. Finally, with Vietnam’s gross domestic product (GDP) projected to rise by at least 6.5-percent annually over the next three years and car ownership expected to double within just a few years, VinFast’s launch couldn’t come at a better time. Sketches and photos courtesy of VinFast. All rights reserved.